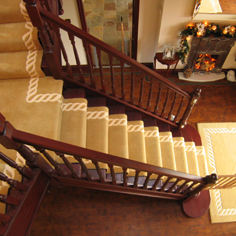 Westex Carpets are UK manufactures of premium carpets for over 35 years, at Westex Carpets we combine excellence in innovation, performance and design to create durable, luxury and resilient 80/20 wool nylon and 100% wool carpets. With over 35 years’ experience, manufacturers of 2 and 3-fold yarn premium carpets, we own and manage three dedicated manufacturing sites, completely controlling the process of design, creation, finish and delivery of your carpet. 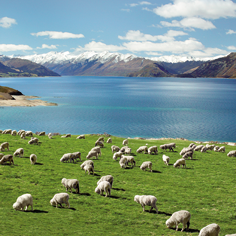 This 360° management means our 80/20 wool nylon and 100% wool carpets are internationally renowned for their colour, performance and added high value treatments. You can also expect a fast and reliable service, compliant with ethical, environmental, people management, health and safety standards. Maintaining and improving our high standards of quality and care has meant a strategy of continuous investment in technology and emphasis on the provision of bespoke, individual solutions. This combined approach enables us to underline and grow our reputation for carpets of value and quality without compromise. 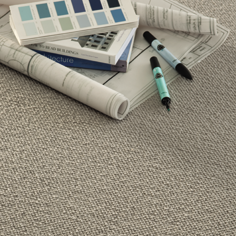 Our premier 1/8” gauge twist carpet, 2-fold twist, 80% wool and 20% nylon blend, Fountaine has the longest pile producing a deep feel and slightly textured finish with superb durability. Suitable for extra heavy duty residential and heavy duty contract wear. All double cropped for a smooth, fine finish and available in 1/8” gauge all our carpets are insect and Stain Resist treated to help ensure the long life and exceptional appearance. Offering you the highest tuft density and longest pile in a 2 -fold 80% wool, 20% nylon blend, Supreme is a plush, highly desirable and durable velvet carpet suitable for extra heavy duty residential and extra heavy duty contract use. With the same luxurious pile height as the Supreme but lower tuft density in a 2 -fold 80% wool, 20% nylon blend, Prestige offers a high quality feel and comfort with plenty of inbuilt resilience. Suitable for extra heavy duty residential and heavy duty contract wear. An unbeatable velvet carpet made to the same high standards as all our Westex velvet range. A 2 -fold carpet in 80% wool and 20% nylon blend, Westend has the shortest pile yet still offers comfort and good durability and is suitable for heavy duty residential and medium duty contract use. Created from a pallet of natural colours in distinctive contemporary styles, enriching any location with added texture and hues, our natural loop 5/32” gauge carpets are all Stain Resist and anti-insect treated giving you naturally fine carpets and peace of mind. Our charming Bouclé natural loop carpet is 100% pure new wool and created in a robust 3-fold yarn and 5/32” gauge. With its distinctive soft ‘wave’ patterning, Bouclé adds charm and texture. Suitable for heavy duty residential and medium duty contract wear. Timeless and good looking, Briar is a neat contemporary style, resilient and highly durable in a range of warm, natural shades created in 100% pure new wool in 3-fold yarn and 5/32” gauge. Suitable for heavy duty residential and medium duty contract wear. The clean, trim styling of cable is created in single or complimenting natural shades to create a fine distinctive loop carpet; 100% pure new wool, 3-fold blend in 5/32” gauge, Cable is suitable for heavy duty residential and medium duty contract wear. Available in 3 opulent qualities, Vogue, Chic and Debonair and 40 stylish, contemporary shades, this luxurious collection creates an elegant, sumptuous ambience whilst still being a high performing and durable floor covering for any room. Manufactured from an innovative development of 100% Polyamide 6.6, 2-Fold Yarn; the fibre technology has a tighter and smoother molecule structure which achieves the exceptional sheen and softness whilst still being resistant to pilling. Combined with the Westex Stain Resist, this collection is more resistant to staining and dirt keeping it looking newer for longer. Plush, warm and highly resilient, created with the highest tuft density 2-fold yarn, 1/8” gauge and 100% pure new wool, Troika is one of our finest velvet carpets. Troika is suitable for extra heavy duty residential and extra heavy duty contract wear.